Headphones are like cars—you can really find your favorites and get locked in to what you like. For example, switching someone from over-ear headphones to on-ear headphones is like getting an SUV-driver to acquiesce to buying a new station wagon (remember those?) It’s not likely to happen. But you want to understand the differences between in-ear vs over-ear or on-ear headphones and the strength that each affords. I actually use all three styles depending upon what I’m doing, and I think there’s a good reason you may want to consider the same. But before I can make a case for persuading you to answer the question: In-ear vs Over-ear or On-ear with a final decision, I want to walk you through the strengths and limitations of each format. We’ll do this by looking at Portability, Noise Rejection, Comfort and Sound. It’s only lately that I’ve been hearing the term “In-ear Headphones“. It’s like “earphones” or “earbuds” got a bad rap, and now the industry wants the let you know that those in-ear models it pushes are indeed a style of headphone. I think it’s more likely that Google got them to reconsider how people search for them online. Names aside, the typical in-ear headphone inserts into the ear canal, or sits just outside, and provides sound in a very portable format. So let’s start there. In-ear headphones, or earphones, are, first and foremost, extremely portable. Because the drivers are so small and the enclosures not very large, they can be coiled up and stored in a case that’s often the size of an ambitious wet-nap…or right in your pocket. I don’t care how compact a pair of on-ear headphones claims to be, it’s not going to match the true portability of a good set of in-ears. For frequent travelers, the advantage of these earphones is obvious. The concept of noise rejection headphones is an important one. Without it, you have outside noise competing with your tunes. That results in a couple things. For starters, it’s dangerous, as you tend to crank up your music when the outside environment gets louder. That can damage your ears over time and it’s not a great solution. Good dynamic range is best achieved by lowering outside noise, not increasing the volume of the listening material. 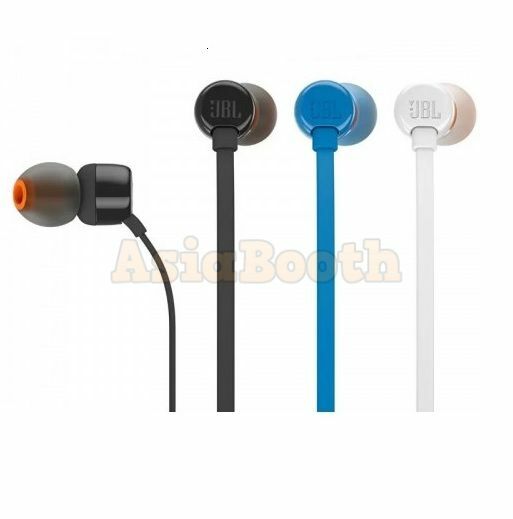 In-ear headphones have the ability to reject outside noise without any fancy algorithms or noise cancellation devices. They simply can block out the noise by being properly inserted into the ear canal. Not all earphones are equally good at this. In fact, some earphones don’t insert into the canal at all, meaning they don’t offer what I consider to be one of the biggest advantages to the in-ear style. Consider this as you shop. The biggest reason people cite for not liking in-ear headphones is comfort. Some people have very sensitive ears and so anything inserted in the ear canal is going to cause some discomfort. I would say that if you’ve only ever tried cheap in-ear models then you may want to give them another shot. There are also solutions like foam ear tips (as opposed to the more common silicone) and even custom-formed solutions that involve getting an ear mold made at your local ENT or audiologist. Comfort varies from model to model. While some people will argue that ANY in-ear headphone causes discomfort, I would suggest that you try a few different styles of ear tips before drawing your own conclusions. The sound quality of in-ear headphones can be just as good as any on-ear or over-ear model, but they do tend to be a bit less open or airy. They are also very finicky, often producing very minimal bass unless inserted fully and properly (and even then it’s tough to get frequency response as good as on-ear or over-ear headphones). The sound is directly injected into your ears and so any psychoacoustic environmental effects created by having a space around your ears is lost and has to be done directly. Some of the most accurate sound I’ve ever heard has been through the use of in-ear headphones because they can be tailored for precise sound reproduction without any concern for exterior environmental affects and because they can exhibit such excellent natural noise rejection. Previous: What is TPMS Tire Pressure Monitoring System?